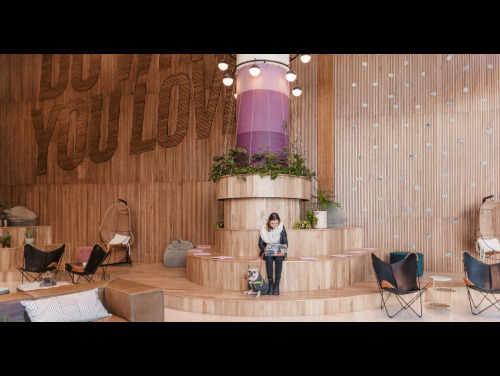 Located within the heart of London’s Tech City and a part of the Shoreditch Design Triangle, this vibrant, creative workspace is unique and raw. Having undergone a full refurbishment, the centre now presents top end workspace with bountiful character and a strong focus on tech innovations. Notable features include a suspended steel and glass meeting room, a stunning roof terrace and bespoke furniture. Interiors incorporate plenty of natural and industrial materials including exposed brick and uncovered ceiling pipes providing an attractive yet alternative look. Further facilities include; a manned reception, showers, 24-hour access, bike racks and air conditioning. 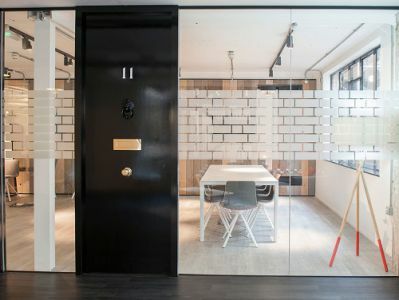 Ideal for both independent entrepreneurs and established enterprises, this office is based within one of London’s most sought-after business destinations. The welcoming and open plan offices complete with comfortable and stylish furnishings present a pleasant, community focused work space while the onsite meeting rooms and dedicated office options ensure that privacy is also catered for. The centre management work hard to provide companies with a strong support structure while encouraging interaction and collaboration between members through regular events. 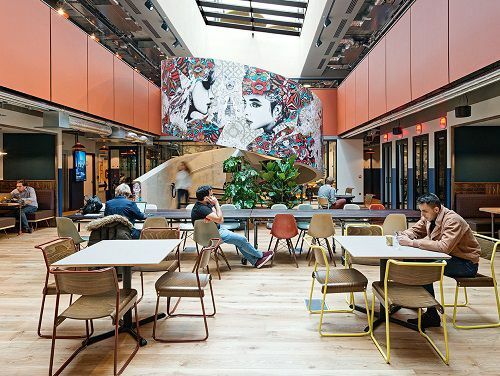 Covering 11 floors, members have plenty of freedom and with lounge areas, focus booths, kitchens and a brainstorming room, there is almost endless choice in workspaces. Further facilities include; bike storage, showers, a dog friendly attitude and high-speed internet. Offices in this attractive building are currently available for rent in sizes ranging from 116 sq ft to 1560 sq ft, providing options for most small to medium businesses. 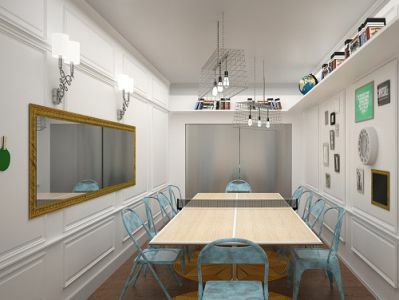 Access to a shared kitchen, meeting room and other amenities are available for tenant convenience, as is 24-hour access and comprehensive telecoms connectivity. This lovely business centre comes inclusive of tasteful furnishings and decorated to a very high standard. 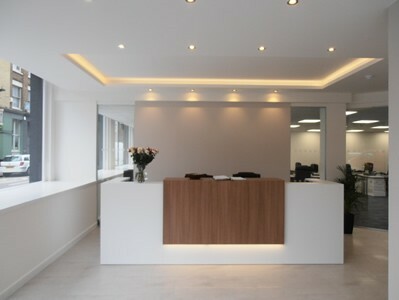 The contemporary reception area is manned by professional staff ready to welcome your clients into the building. Communications systems are provided, along with a shared roof terrace, kitchen facilities, the use of two large well appointed meeting rooms, and bicycle racks. 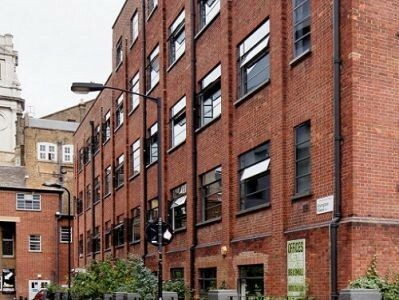 Modern serviced office space is available within this impressive business centre in the heart of Shoreditch. All office space is fully furnished to a high standard and comes equipped with a number of benefits from broadband access, WiFi and modern meeting rooms. Tenants can also enjoy 24 hour access and a wide wide of other benefits. 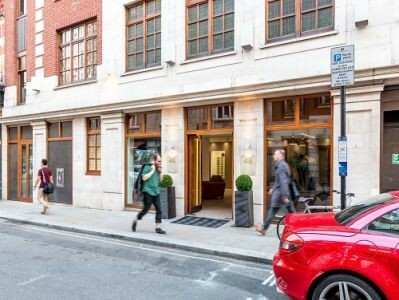 True to Shoreditch's retro trendy style, this converted fire station boasts state of the art serviced office space in a unique setting, complete with fire engine red balustrades and an open plan atrium. 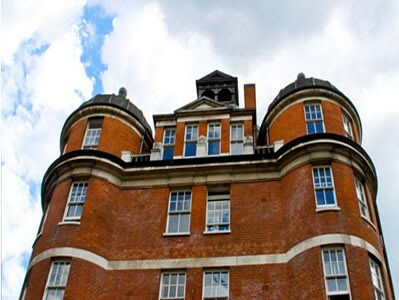 Built in 1985 this red brick Victorian building is set over 5 floors, offering 30 small self contained office units supported by experienced admin and phone-answering personnel. All the offices are accessible 24 hours a day and are connected to telecoms and broadband. Virtual office services are also available at this address. Located on the lower ground floor of this building is desk space, which boasts wooden floors and street level windows providing plenty of natural light. There are a number of services and facilities available which includes furnished space, unbranded space, shared space, lounge area, meeting rooms and 24 hour access to the building. Self-contained office space is on offer in this former warehouse - with exposed brickwork, solid wooden flooring and large windows this quirky, industrial building still has much character. 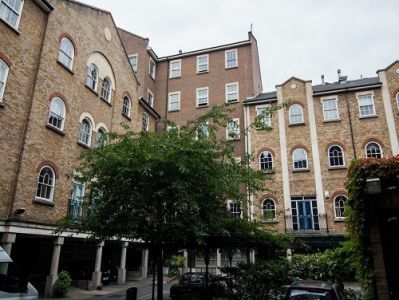 This attractive building is host to very modern, open and attractive office space ranging in size from 120 to 250 sq ft, as well as hot desk space. 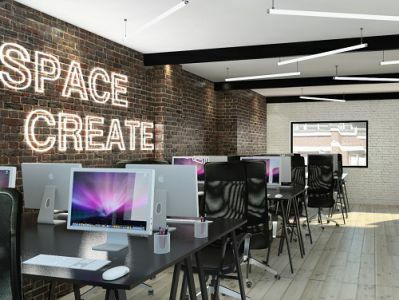 The centre is accessible at all hours and is being refurbished with a trendy rooftop terrace to complement its existing meeting rooms and shared spaces. Professional staff are available onsite to assist with IT and admin requirements. 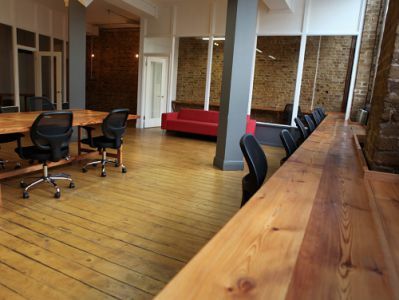 Newly refurbished office space on offer here in the heart of the Tech City. 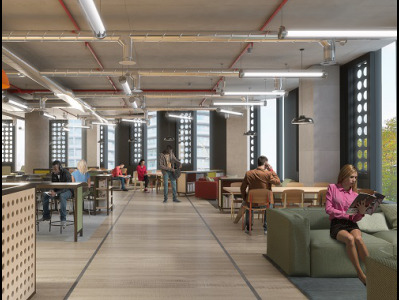 You can expect a variety of different working options such as hot desking, co-working and private space all set against a very contemporary interior. 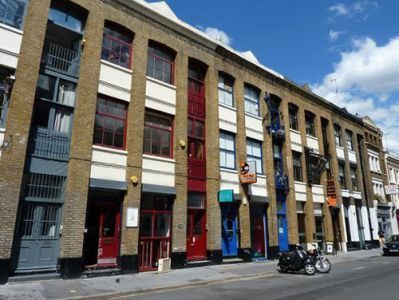 2000 SQ.FT of warehouse space which is split across 2 floors is available within this stunning character building; there is 24 hour access to this building allowing you to work as you wish. Tenants of this building will benefit from the brilliant services and facilities that are on offer, which does include furnished offices, unbranded space, shared space, broadband, WIFI, telephone systems, WIFI and the use of 2 meeting rooms at no extra charge. 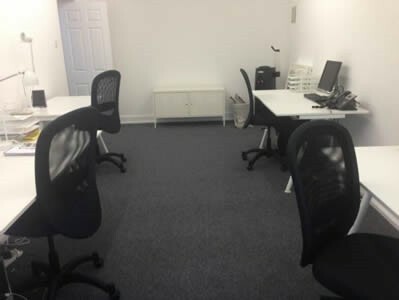 Companies looking for bright, modern and airy office space at competitive letting terms will be well served by this business centre, which hosts office spaces which are luxuriously furnished with quality fixtures, and open for secure access 24 hours a day. 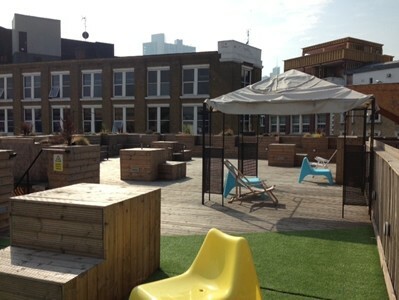 All areas are connected to complete telecoms systems including broadband and WiFi, and there are meeting rooms and a rooftop terrace for the use of tenants and their clients. Office space is now available within this beautiful character building, this centre has a number of services and facilities available that will suit small or large companies, these do include fully furnished offices, virtual offices, hot desking , unbranded office space, shared space, WIFI, cabling, broadband, air conditioning, telephone system, onsite IT support, meeting rooms and lounge areas. This centre has 24 hour access allowing weekend and overtime work, 24 hour CCTV monitoring and alarmed security. Tenants will benefit from a manned reception area to greet guest and clients as well as professionally telephone answering and admin support. 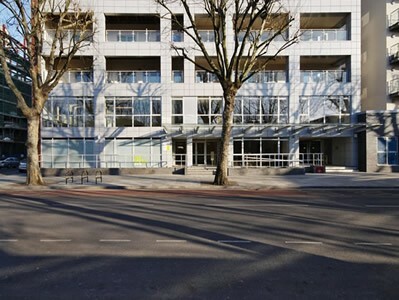 Ideally located in Shoreditch, just 7 minutes' walk from Old Street (Silicon) Roundabout, these top tier offices are available unfurnished or furnished with quality fixtures, which, in combination with the experienced resident management team, ensure compatibility with the needs of any company. There is broadband and WiFi access throughout and the building includes a kitchen which is open to all tenants. This striking building provides an outstanding selection of all inclusive private executive suites as well as modern shared office space. Boasting contemporary furnishings and tasteful decor, well appointed meeting rooms equipped with presentation and video conferencing facilities, along with state of the art IT and communications networks. 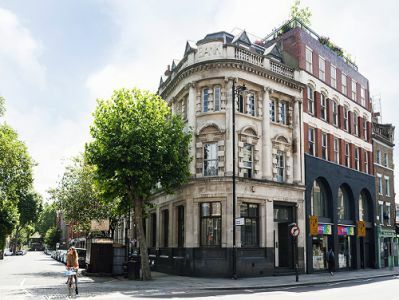 Available on flexible terms, this workspace is perfect for SME's and startups looking to take advantage of Shoreditch's thriving tech scene. 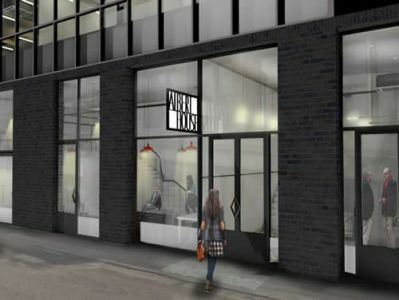 This contemporary building houses a selection of office suites starting from 130 square feet in size all the way up to 1,100 square feet. Benefiting from two meeting rooms, fully equipped for presentations, professional reception support staff, IT and communications systems, WiFi and CCTV. 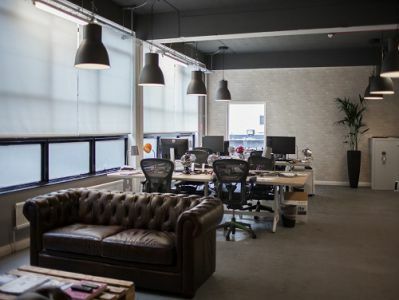 The office accommodation has been recently refurbished and redecorated to a high standard, and in addition tenants can enjoy the shared roof terrace. This impressive new office centre provides a range of twenty four self contained office units, in a mix of sizes and configurations ranging from 600 to 1,400 square feet, to suit your business needs. 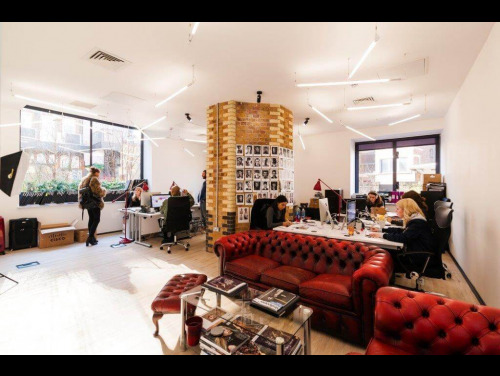 Benefiting from friendly and professional reception support staff, IT and communications systems, CCTV and spacious meeting rooms, these offices provide the perfect environment for companies wishing to be part of Shoreditch's thriving creative, digital and tech scene. 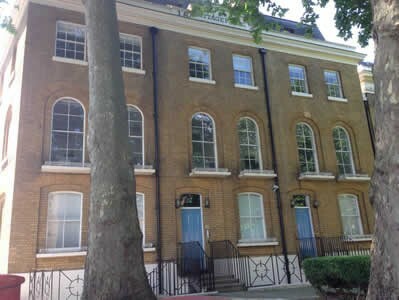 Recently refurbished to a high standard this building offers contemporary, design lead office space. 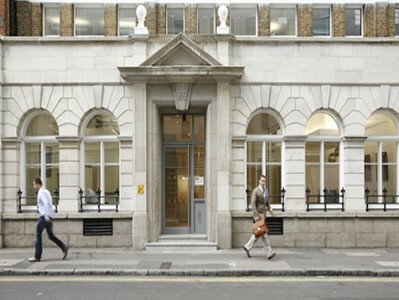 Set across 5 floors there are a range of unbranded offices which come furnished ready for occupancy. 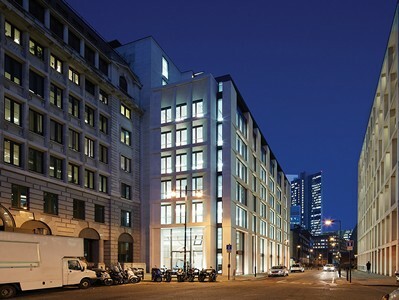 An outstanding new business centre is now available within the Old Street area. Offering co-working in stylish and contemporary settings as well as well lit and spacious private offices there is something for every type of business. The building also has an excellent BREEAM rating of sustainability. Further features include meeting rooms, focus booths, a roof terrace, kitchen space, bike racks and showers. 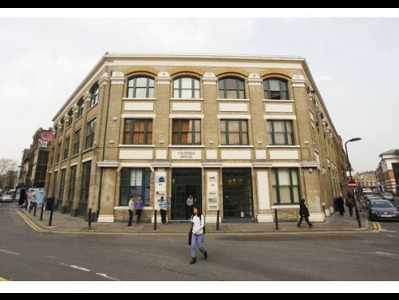 The attractive period building houses a range of ergonomically furnished office suites less than 10 minutes walk from the "Silicon Roundabout", providing an excellent working environment for your business. With friendly reception staff, up to date telecommunications and IT networks, WiFi, CCTV and 24 hour access. Spacious lounge and meeting rooms are also provided, perfect for brainstorming and presentations. 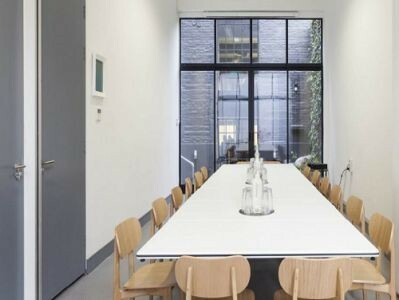 Superbly located in the heart of East London's creative tech scene, this building provides a selection of first class office suites furnished to an excellent standard and bathed in natural light. The centre benefits from professional admin support and reception services, on site parking facilities and well appointed meeting and lounge rooms. State of the art IT and communications systems are also provided along with 24 hour access and a comfortable onsite cafe.